Great Picture and the quote is very true. This was a fun outing. I think someone else might have sat on this log earlier. Beautiful shot and great title. Great father and son shot in such beautiful scenery! So true, Jane. he is a lucky boy. fav. 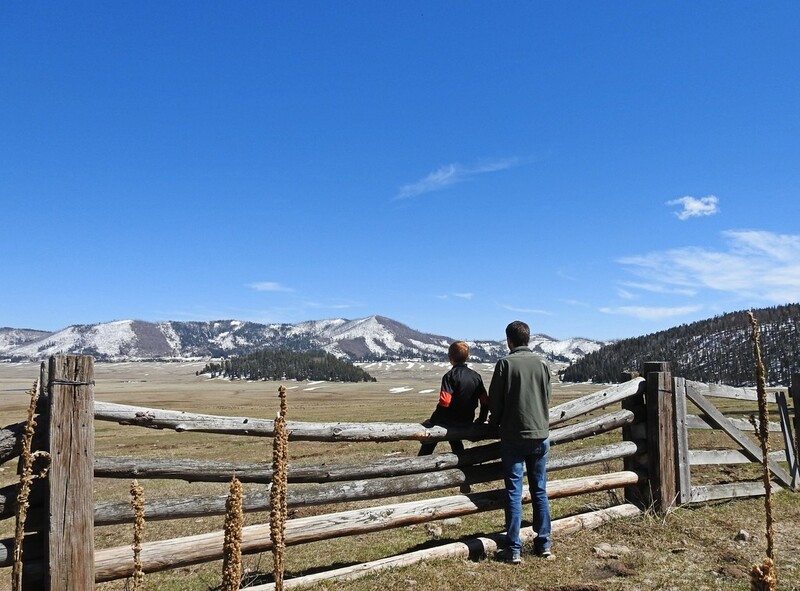 Thank you all for your comments about my photo of our son and grandson by a split-rail fence at the Valle Caldera National Monument in New Mexico. This was their first visit to the area, and we hope to return when it's warmer for bike riding and fishing.